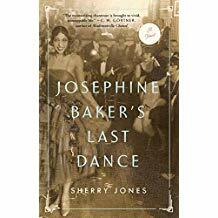 I was attracted to this biographical novel simply for its subject: Josephine Baker. I knew a little about her. An African-America woman, she left the Jim Crow-era America and was singing and dancing in Paris’s nightclubs by the time she was sixteen. That’s about it. Readers get an insightful and well-researched novel about Baker---singer, dancer, movie star, French Resistance member during World War II and Civil Rights activist---that is at times slow, at times despairing yet a fascinating story of a groundbreaking woman, well before her time. The story starts off in Paris, in April 1975. Josephine doesn’t know if, but readers get a glimpse of her final performance. Then the story skips ahead to her childhood in St. Louis. She is considered an ugly child. Her mother, a bitter woman, forces her to work for the neighbors by the time she is seven years old, making only a pittance, none of which Josephine ever sees. Life was so incredibly difficult that Josephine tries to blot it from her mind and tells anyone who might ask that she is from New Orleans. It’s heartbreaking to read about the line of abusive people in her life, from both her parents to every man she seems to meet. By 1915, young Josephine has a new employer, one that treats her like a person, not an animal. But her security doesn’t last long. By 1919, she has spent two years singing, dancing, playing instruments with the Jones Family Band. The story continues to recount her time in Paris. Sometimes it drags a bit as the tediousness of her life in the theater evolves. The World War II breaks out, and Josephine wants to do her part. She joins the French Resistance. I didn’t feel this section was deep enough, but maybe there isn’t enough documentation or evidence out there to make it more compelling. It doesn’t matter though, I enjoyed this book thoroughly, couldn’t put it down. That’s why “Josephine Baker’s Last Dance” receives 5 out of 5 stars in Julie’s world.